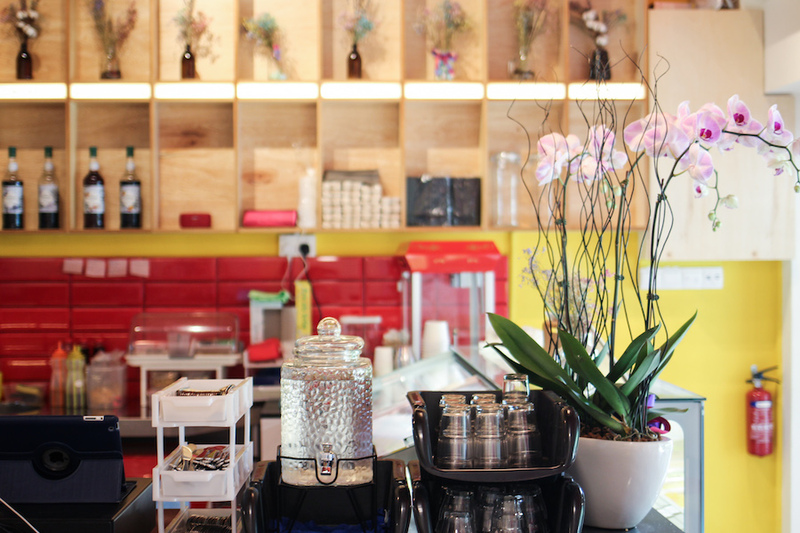 The folks behind Hatter Street Bakehouse and Café have opened yet another dessert café in the heartlands. 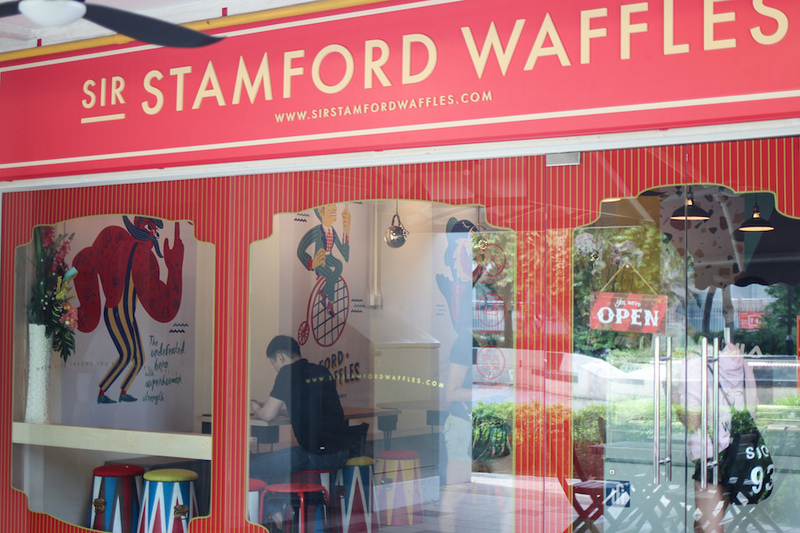 The concept at Sir Stamford Waffles mimics that of Hatter Street and their now-defunct café Oh My Tian – carnival-like colours and theme and all things whimsical. 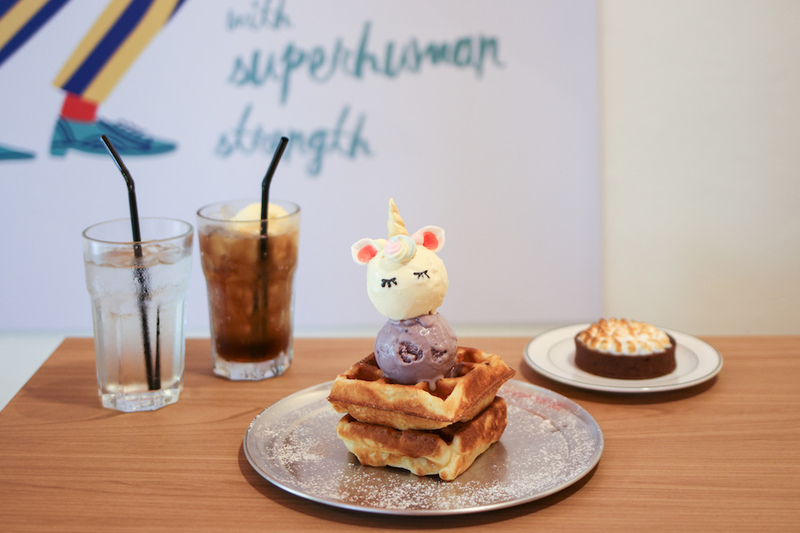 The lot of Signature Waffles mostly come with fixed ice cream flavours and toppings, but to customize your ice cream flavours, you can opt for the Sir Stamford Waffles ($12.50) which comes with a choice of 2 scoops of ice cream and a sauce. 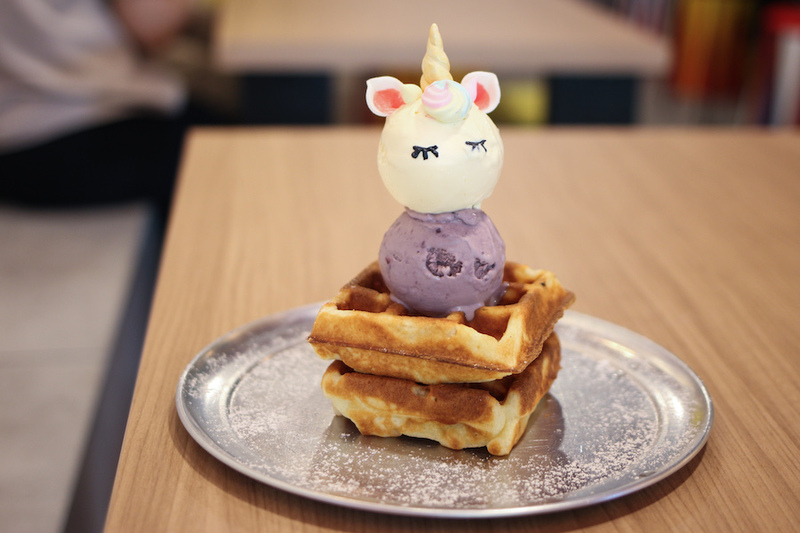 The most Instagram-worthy of their lot of Signature Waffles would most probably be the Pulau Unikorn ($14), added with unicorn accessories. The lavender blackberry ice cream stood out with distinct tones of lavender, while the toasted marshmallow ice cream was just alright and not that memorable. As for the waffles, consistency could be a problem. Some reviews online have praised them, but the texture of my waffles was a tad doughy and not as crisp and fluffy as I remembered how they were like back at Hatter Street. 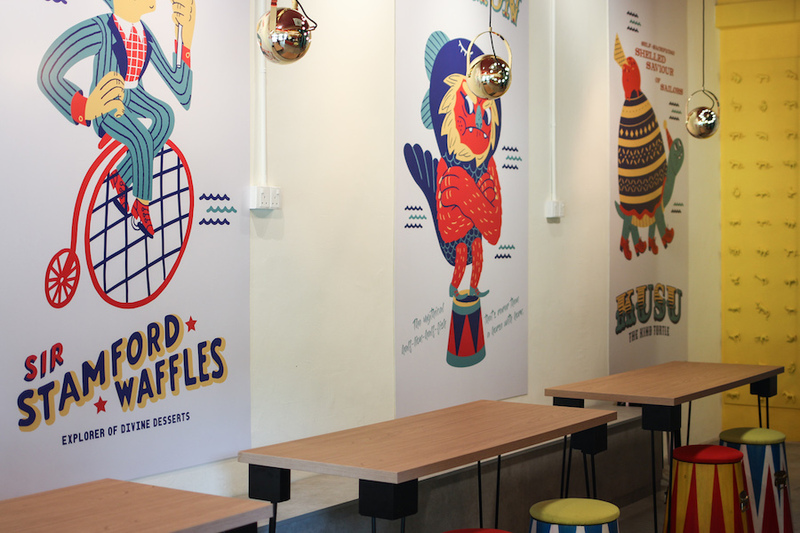 Some other signature waffles you can find on the menu are Badang the Bold ($15.90), Kopi Kusu ($15.90), The Miraculous Merlion ($15.90) and Minah & Linah ($15.90). Unfortunately, I didn’t get to try any coffee as the coffee machine was down that day. It was hard to decide amongst their collection of homemade cakes and tarts, including a peanut butter cheesecake, brownies with ice cream and a smores tart. 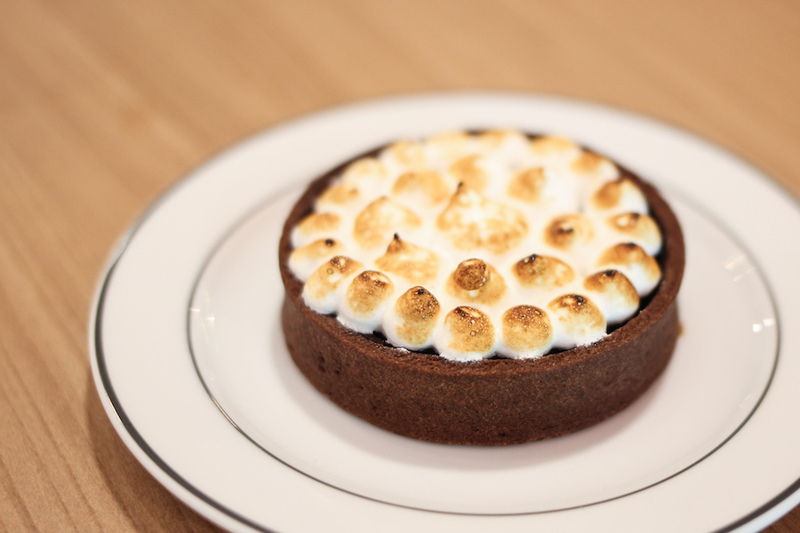 If you are a fan of thick, dark chocolate, the Smores Tart ($3.50) encases exactly that beneath the gooey marshmallow layer. 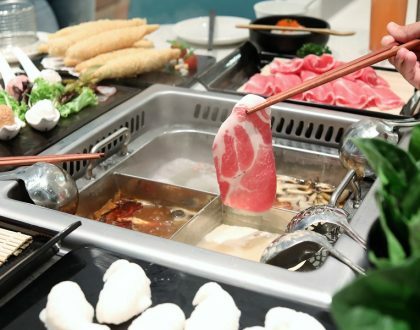 And if you still feeling hungry after this, Bedok 85 Fengshan Market is just a few doors down. * Written by Crystal Wee, a “Cafe Pornographer”. 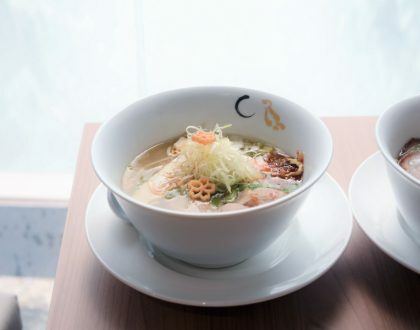 More of her cafe gallery on Instagram @Crystal_wee. 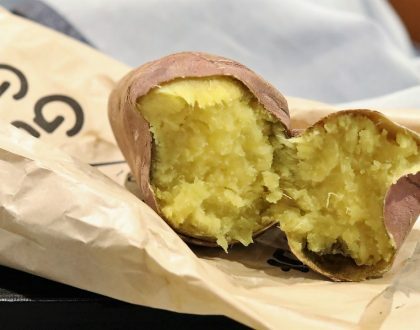 Daniel’s Food Diary paid for food reviewed unless otherwise stated. 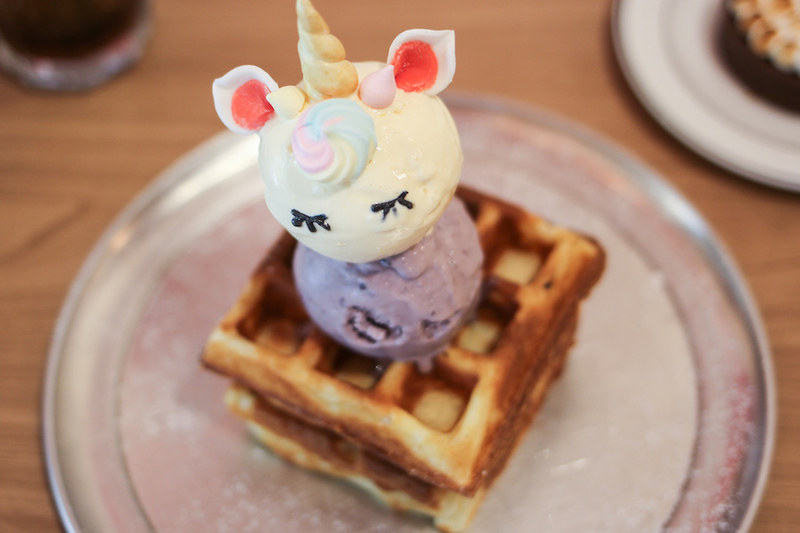 Waffles – meh. 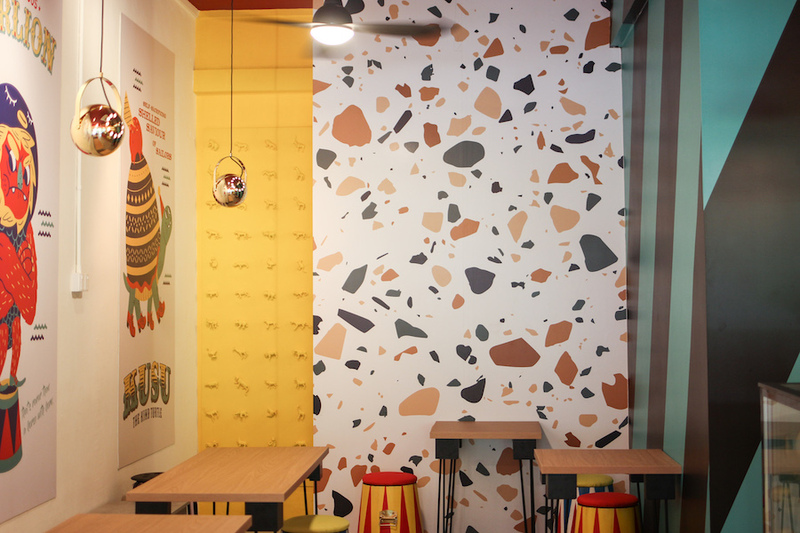 Better off to Milk & Honey at Blk 86.